North Korea's Supreme Court has sentenced a Canadian pastor to life in prison with hard labour for what it called crimes against the state. Hyeon Soo Lim, who is in his early 60s and is pastor at the Light Korean Presbyterian Church in Toronto, was sentenced after a 90-minute trial. He had been in detention since February. Lim's relatives and colleagues have said he travelled on Jan. 31 as part of a regular humanitarian mission to North Korea where he supports a nursing home, a nursery and an orphanage. They said Lim has made more than 100 trips to North Korea since 1997, and that his trips were about helping people and were not political. Global Affairs Canada — the new name the Liberal government has given to the Department of Foreign Affairs — said it was dismayed at the "unduly harsh sentence," particularly given Lim's "age and fragile health." The department said it has made repeated attempts to meet with Lim in custody, and that the trial was an opportunity to see him. "This is a serious violation of the Vienna Convention on Consular Relations and the right of states to have consular access to their citizens," spokeswoman Diana Khaddaj said. "Like Mr. Lim's family and friends, the government of Canada remains concerned for his rights and well-being, and wishes to see him return to Canada," she said. Lim entered and left the court in handcuffs flanked by two public security officers in uniform. The handcuffs were removed during the trial. He kept his head bowed most of the time and answered questions in a subdued tone. Harming the dignity of the supreme leadership. Trying to use religion to destroy the North Korean system. Disseminating negative propaganda about the North to the overseas Koreans. Helping U.S. and South Korean authorities to lure and abduct North Korean citizens, and aiding their programs to assist defectors from the North. State prosecutors sought the death penalty. Lim's lawyer asked the court to take into account the fact that Lim is a fellow Korean and that he had frankly confessed to everything the prosecution had brought up. Lim pleaded to be given a chance, and said if the court gave it to him, he would not do anything bad again. Lim had earlier appeared at a news conference organized by North Korean authorities in Pyongyang in July and admitted to plotting to overthrow the North Korean state, but other foreigners detained in North Korea and then released have said they were coerced into making similar statements and confessing guilt during their detention. 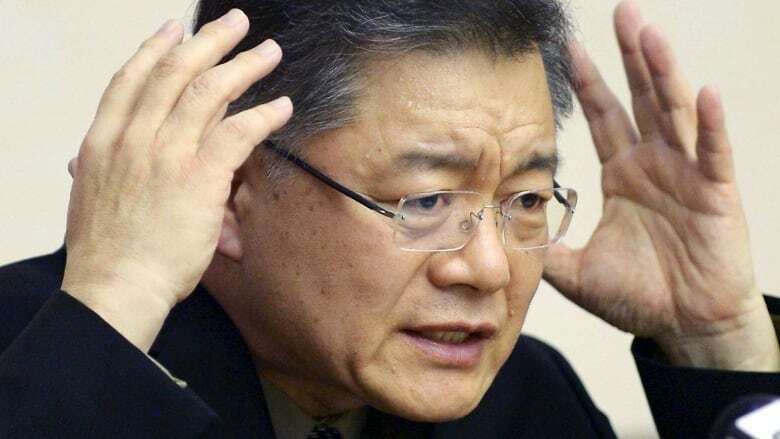 Jack Kim from Han Voice, a group in Canada that works on North Korean human rights and refugee issues, said the conviction can be seen two ways: a strict life sentence, or, paradoxically, a step toward an early release. "It's almost the second-last step before a person is actually released, mainly because the North Korean regime wishes to convict a person, because they've been keeping this person for such a long time, and then can show how magnanimous the regime is and how merciful it is by releasing and deporting them," said Kim. Kim said people who have been given long sentences in North Korea have actually been released shortly thereafter. However, he said it's "unprecedented" that a person in Lim's position would be given such a long sentence. He said it's more common that a person would get an eight- or 15-year sentence, and then be released early. Kim added that it's also unclear why Lim was arrested at this time because he had made so many trips to the country before. "It's very interesting that a humanitarian aid worker basically has been convicted of such a crime of huge magnitude." North Korea has strict rules against any missionary or religious activities that it sees as threatening the supremacy of its ruling regime. Merely leaving a Bible in a public place can lead to arrest and possibly severe punishment. Both the U.S. and Canadian governments warn against travel to North Korea. Last year, the North released Kenneth Bae, a Korean-American missionary who was convicted of "anti-state" crimes and had been serving a 15-year sentence. Bae, whose detention received worldwide attention, suffered medical issues in detention. He was freed along with one other American detainee after a secret mission to the reclusive communist country by James Clapper, the top U.S. intelligence official. He is reportedly planning a book about his two-year ordeal in detention. An Australian missionary detained for spreading Christianity was deported last year after he apologized for anti-state religious acts and requested forgiveness.